In the cozy, hazy, breezy zone between indoors and outdoors sits the three-season room; architecture’s answer to the scorching sun, pouring rain, lightning flashes and biting bugs. 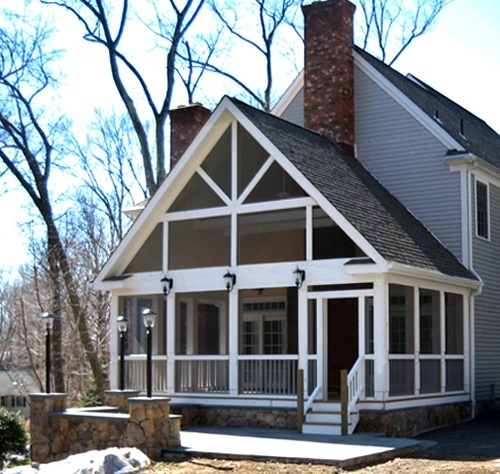 Whatever nature can throw at you, a three-season screen porch addition can protect you from it. Well almost. There comes a day, probably in late fall, when the wind blows, the temperature drops, you shiver and you think “Not today.” You head back into the main house. You just found the limits of your three-season room. While the three season room extends your outdoor season beyond the sultry months of summer, a four season room has many of the same virtues, yet is winter-proof, and may be just the thing you are looking for as cold weather approaches. What’s the difference between 3 and 4-season rooms? Three-season spaces don’t link up to you main house’s heating and cooling systems. They are built for the express purpose of extending your use of your outdoor space during the year and they’re great during inclement weather or chilly days. Four-season rooms are fully insulated and have heating, and often air-conditioning too. 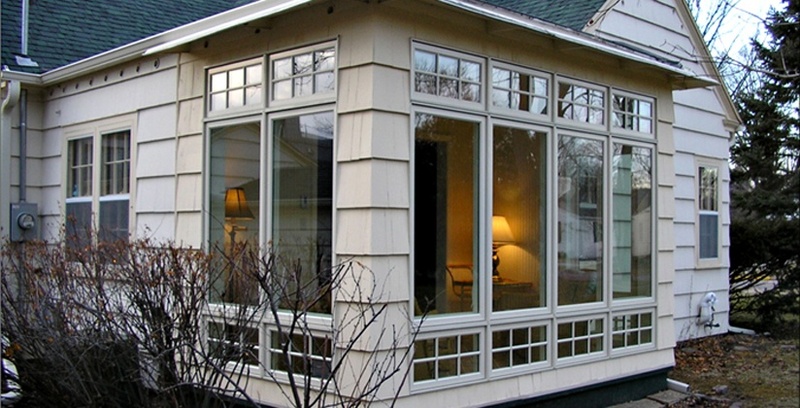 These sun room additions are comfortable and usable all year round. They extend your permanent living space and this type of addition can add a lot of value to your property. What’s the difference in construction cost? Adding heat and cooling to a 4-season room makes it more expensive and more complicated to build: the structure has to be compliant with a whole host of building codes including R-value insulation, energy star qualified windows and doors, and a certain number and spacing of electrical outlets. Four-season porches are usually classed by the building department as ‘habitable’ and as such can affect the taxable basis of your home. It depends on the source of your heat. A knowledgeable design team will work with local officials to ascertain their position on different heat sources. 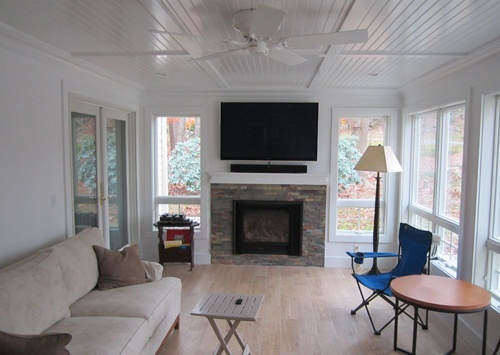 We recently converted an existing screen porch, remodeling it into a 3-season room. The clients did not want the expense of permanently heating the sporadic-use space so we built the room with a direct vent gas fireplace. This gave them the option of heating the room as required in the winter and added a cozy ambiance to the room too, without falling under the regulations for “habitable space. Clients tell us that they see their three season rooms as more part of their outdoor space than their indoor space while four season rooms are clearly part of the house. So if you want to permanently add to the year-round, weatherproof footprint of your home, four season is the best remodeling project to do. Rooms like this still make you feel closer to nature and bring a great view inside – but they leave the weather firmly on the outside. Three-season rooms are a great option if you simply want to extend their outdoor season by a couple of months either side of summer, yet don't need or want more "indoor" space.